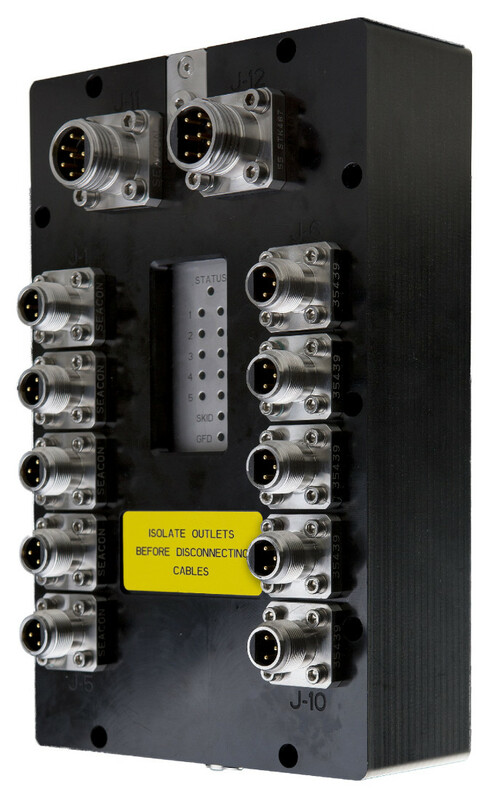 The KD power controller is mainly used to control and monitor subsea light sources, on/off and dimming (phase control). A serial communication interface is used to remotely control and monitor the outputs. But the outputs can also be used to power other types of equipment. A mimic panel displays the status of each outlet, GFD and an overall status. Each outlet have individual electronic fuse, hardware fuse and relay for isolation. The communication interface reports each outlets power consumption and fuse state. The electronic fuse can be reset by the operator. Fuses have two functions, short circuit protection and overload protection. Each outlets function is controlled by individual interchangeable sub controllers. This makes it possible to control the outputs in various ways, phase dimming (default), serial control, voltage control (0-5/0-10V) or PWM.